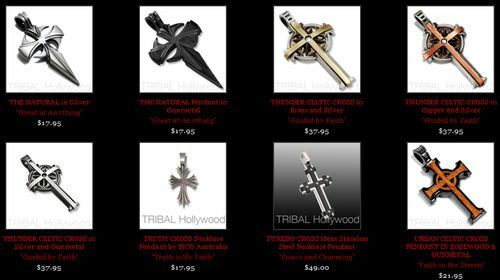 All of these different aspects can be seen in Gothic crosses. The Gothic cross design may be used for tattoos, or for jewelry. 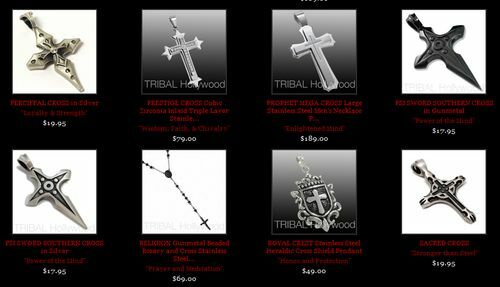 They allow the wearer to express their religious views, as many different religions throughout society use crosses as part of their imagery. The cross provides an anchor for other Gothic embellishments, and provides a wide range of room for individuality with the design. The piece can end up being as simple or ornate as the tattoo or jewelry artist determines to be necessary. Some of the embellishments that help make a regular cross can include vines, flowers, and jewels that are worked into the cross itself, or delicately wind their way around the basic cross design. Gothic crosses may also make use of swords, gargoyles, or skulls and bones for a darker edge to the finished work. This is particularly seen in tattoo design. When you are comparing different designs and looking for that perfect piece of jewelry, think about the symbolism behind all of these various decorations, to find a final piece of art that holds some meaning for you on a personal level.